I remember crying in my mom's arms inside our darkly-lit kitchen. "I just want to sleep." I sobbed. "I just want to stop hurting." I was eleven years old - and though I might not have known it at the time, it wasn't normal to be in pain 24 hours a day, seven days a week. But, then again, it isn't normal to be diagnosed with a chronic illness before your 13th birthday either. My journey with fibromyalgia - a chronic illness characterized by widespread muscle pain, fatigue, sleep problems and other symptoms - began even earlier than that night. I was a loud baby, often crying nonstop unless my mom was holding me. Some doctors have told me it may not have been just colic or neediness; I may have been in pain, even then. And, as horrible as it sounds, I smiled hearing that. Finally, it felt like all the puzzle pieces of my life were fitting together. When I later told my dad the same explanation, he didn't have the "ah-ha" look I expected. He looked sick. And now, as a 21-year-old, I can understand why. No one wants to imagine that their child has been sick their entire life...and you never knew. My mom has fibromyalgia, so autoimmune diseases weren't total strangers to my family. But, when it's a kid complaining of aches and pains, it's easy to find alternate causes. Like growing pains. Or soreness from PE. Or just childlike exaggeration. When did boo-boos turn into something a lot more sinister? Ironically enough, I fell into my fibromyalgia diagnosis...almost literally. I was part of an indoor soccer league, and coaches had propped up gymnasium mats to create the "field" boundaries. Practice was almost over, and I was dying for water. 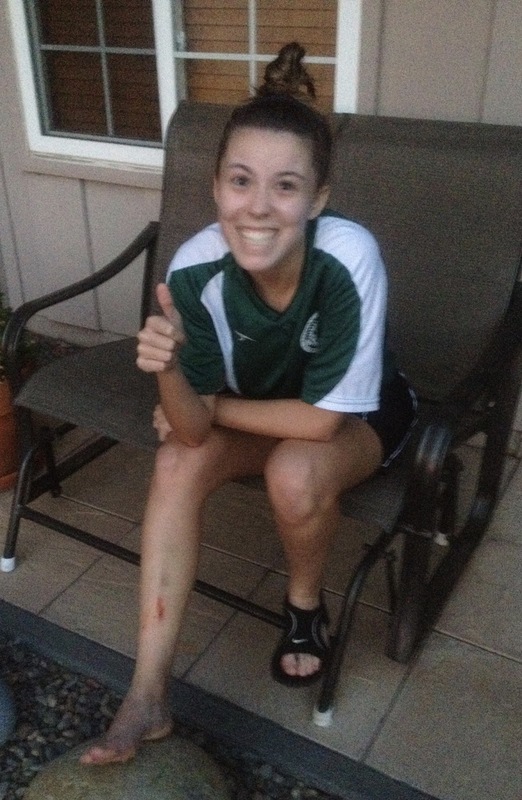 I jumped over the mat...only for my toe to catch and for me to slam against the gym floor. I was shaken and crying, as normal, and my wrist was tender. But, hours later, it didn't overly swell, and I wasn't crying anymore. We probably wouldn't have even gone to the emergency room the next morning if my mom wasn't the "dot-your-i's-cross-your-t's" kind of woman. And when we finally saw the doctor, he didn't expect much...but he did the X-rays anyway. The next thing I know, I'm in a hospital room with surgery scheduled within the next few hours. I've turned into quite the celebrity: I'd not only fractured my wrist but also dislocated all the fingers and thumb of my right hand. "She should be screaming in pain," doctors told my mom. Later, she asked me why I wasn't. I shrugged and said: "It only hurts as much as my back on a bad day." I had the surgery, rocked a purple cast until I almost went crazy (from the itching and otherwise), and my wrist healed. In fact, the only "tell" that anything ever went wrong is a crooked pinky. However, my doctor's visits were anything but over. Around this time, insomnia started. I didn't know it was another symptom of fibromyalgia. I just knew that I wanted - needed - to finally sleep. One of the hardest parts about fibromyalgia? Unlike other diseases - like celiac disease, for instance - there's no blood test or objective method of diagnosis. It often begins with complaints of pain, fatigue or insomnia to your primary physician. If you're lucky (or you have a very insistent mother), they'll give you a referral to a rheumatologist. What happens next? Back when I was diagnosed, there was more talking and, perhaps most importantly, the "trigger point test" that functioned as the main way to diagnose fibromyalgia. Basically, it involves the doctor poking you at certain places in your body, like right above the breasts (or pectorals) and recording your tenderness. Nowadays, doctors also base diagnoses off of patients having widespread pain for three months or longer; showing other symptoms like fatigue; and not having any underlying condition that could cause the same symptoms. Honestly, I forget how many doctors I went to before being diagnosed. We were living in a very rural part of North Carolina at the time, and my dad was serving a year-long deployment in Iraq. So, it was just my mom and me against various specialists whose favorite phrase with me always seemed to be: "I've never seen this before." I do remember, though, the day I received an official diagnosis. We were at a small doctor's office far from home, one that featured a rare child rheumatologist. I did the tests. I told her my story. And, for one of the first times, she believed me. 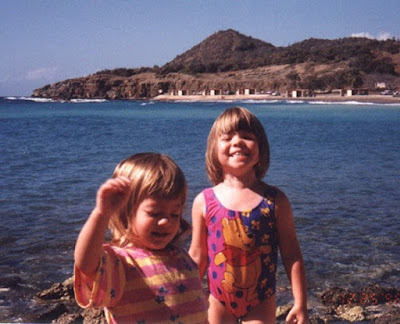 I wasn't crazy or a child with an "active imagination." I was sick - and I probably always would be. But there was an actual illness to blame. The treatments I received definitely helped lower how much I felt like a zombie or how often I wanted to cry from pain. However, my fibromyalgia certainly didn't "disappear." I still was in pain most days, especially during weather changes. When I exercised or played soccer, I still needed to soak in Epsom salt to help my muscles recover more "normally." Ironically enough, the life change that helped my fibromyalgia pain the most wasn't a new medication or stretching routine. It was being diagnosed with another chronic illness at the age of 17. 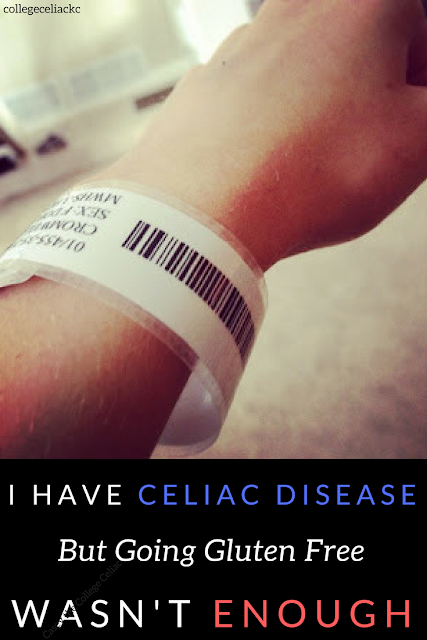 As those who've been following this blog know, my celiac disease diagnosis wasn't easy. 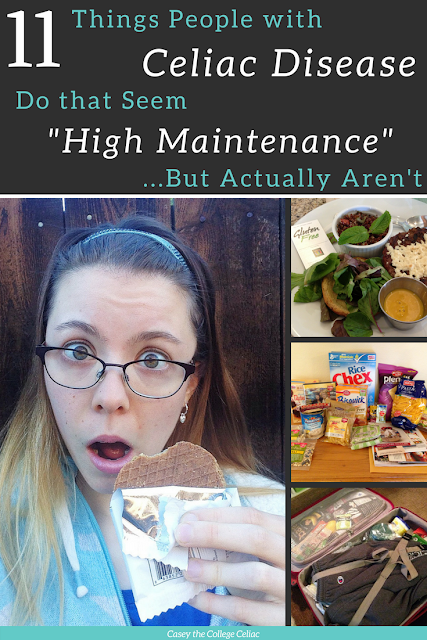 I didn't heal "like normal" when I initially went gluten free. I lost 20 pounds when I only weighed 106 at 5'3" to begin with. I was hospitalized my freshman year of college and needed a feeding tube to eat. Yet, it's impossible to deny how my celiac disease has transformed my health for the better. At first, the gluten free diet didn't seem to help much. As months past, though, I noticed something strange. I was getting stronger. I was gaining back weight. I wasn't in 24/7 pain. I was also able to exercise without being overly sore the next day, and I could touch points of my body that nearly made my scream before. 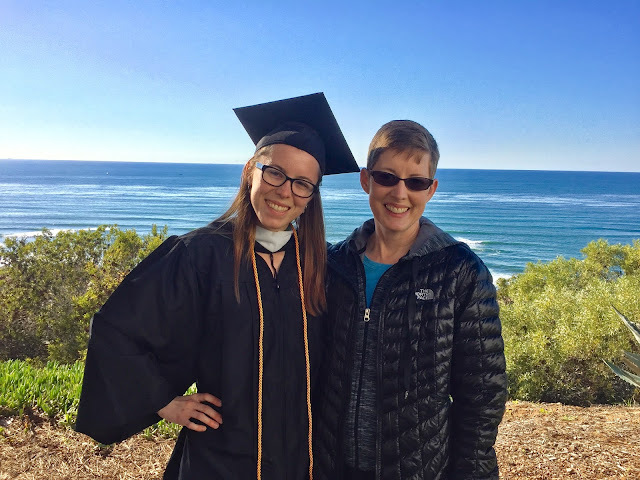 My mom, who tested negative for the celiac gene but went gluten free with me, experienced similar changes: more energy, less pain. Of course, I'm not saying that the gluten free diet "cured" our fibromyalgia. We still have flare ups, have to watch how hard we push our bodies and live in varying degrees of pain. However, we finally found some kind of relief...and I'm always reminded of just how far I've come when a flare-up hits. We're not the only people with fibromyalgia who've benefited from a gluten free diet. Various small studies have found signs of improvement in fibromyalgia patients who follow gluten-free diets, and more people with fibromyalgia are sharing their success stories. Do I think every fibro warrior should ditch gluten? No; every person is different and thrives on a different diet. However, you never know what experimenting with a low-gluten or gluten-free diet could reveal. If I had to describe my view toward my chronic illnesses today, I'd use one word: "grateful." 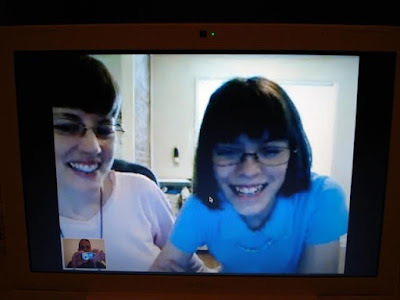 I am grateful for the mom who believed her daughter was truly in pain. I'm grateful for the doctors who diagnosed me, even though "it's extremely rare to find fibromyalgia in someone so young." (Can't tell you how many times I heard that.) Most importantly, I'm grateful for all that my chronic illnesses have taught me. Fibromyalgia has taught me how to persevere despite pain; how to empathize with people whose illnesses might not be clear to the naked eye; and how to listen to my body while stretching its boundaries. Meanwhile, celiac disease gave me the resolve I likely would've lacked to go gluten free (even if I'd heard of its fibro benefits), and has continued to teach me to love cooking, adapt to restrictions and advocate for my own health. First, chronic illnesses aren't just adult diseases. Kids can suffer from them too - and their complaints of pain or other medical problems deserve to be heard and believed. Second, give people the benefit of the doubt - on Fibromyalgia Awareness Day this May 12 and every other day of the year. We may not look sick, but we might be struggling more than you ever imagined. Like this article? Spread fibromyalgia awareness by clicking this to tweet: "This #celiac gets real about her #fibromyalgia diagnosis - at 11 years old. #chronicillness." Finally? Find the silver lining in your own chronic illness. Medical diagnoses are never easy...but you never know what blessings might result from them. No questions today. Just tell me your thoughts. Thank you for telling your story here. I've recently seemed to accumulate a number of chronic illness/issues and it's so agonizing to go to doctor after doctor when they have no diagnosis or treatment at hand for you. It's interesting (and awesome!) to hear how cutting out gluten helped you so much. Thanks for the kind comment Mishvo! WOW... my mom has fibromyalgia and a lot her symptoms are so similar to you! I forget all that she deals with... I let her know going gluten free helped you. I wish her the best of luck! As I mention, going gluten free isn't for everyone, but you never know what will work until you try. <3 Lots of love her and your way! You and your mum look so alike! Your story is so powerful and inspiring and am happy for you that going gluten free has helped so much for your condition! Great article. It's great to raise awareness. Thanks for the article. I'm glad you were finally able to get answers. It's frustrating when there isn't a set test or result to say "yes that's what it is", but I'm glad you are feeling stronger. I strongly believe that food can make a huge difference in our health. Thanks for sharing! So true that not having an objective diagnosis method can be frustrating. Thanks for commenting. Wow! What a lot to go through. I'm glad your mom listened to you and you were able to get the help you needed. Thanks for sharing. Thanks for the kind words Pam! Wow! Such an inspiration to keep moving forward! I feel your pain Our daughter was diagnosed with extreme case of hashimoto's thyroiditis when she was 7 and it was hard explaing it to her friends. So many kids now suffer from auto-immunes the stigma of them can be less with posts like yours. I hope your daughter and you find a good support system. All the best. Hugs to you both! Thank you so much for your comment, Andrea. It truly means a lot as my greatest goal is spreading awareness and lowering the stigma of talking about chronic illnesses. Sending lots of love to you and your daughter! Great for raising awareness! I love your attitude and how you refuse to quit and push through it all, even when its hard. Thanks for your kind words, Emily! You have such a great outlook, and that's awesome!! 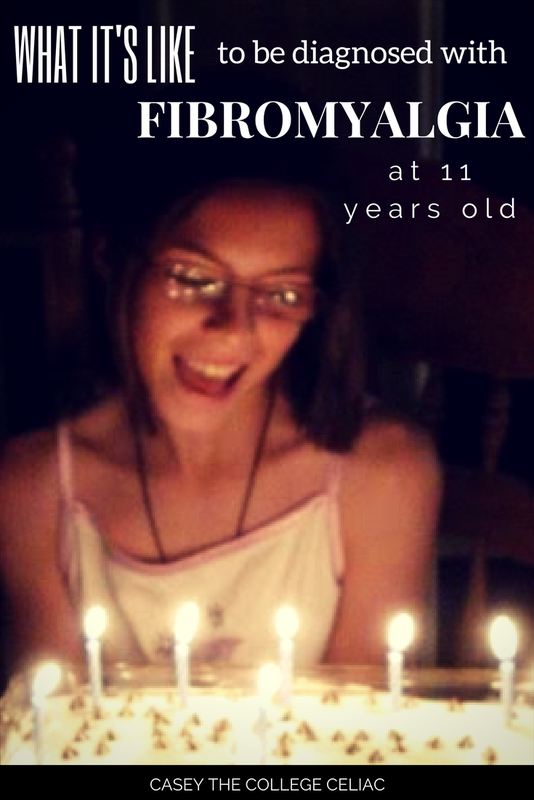 I can't imagine being diagnosed with fibromyalgia at age 11. My husband and I have both been diagnosed and are still awaiting further diagnosis. It's hard at any age, but having it as a kid would have been rough. Way to go for keeping a positive attitude! Thanks for commenting, Kimberly. I'm sending lots of healing thoughts and love you and your husband's way! OMG! I'm crying reading this. I have fibro that dates back to childhood but more than that my daughter (10) is trying to get a diagnosis. I've been fighting for her for years knowing that something is wrong. She has always had problems. I wonder if my massive flare through all of my pregnancy with her caused her to potentially get fibro too. 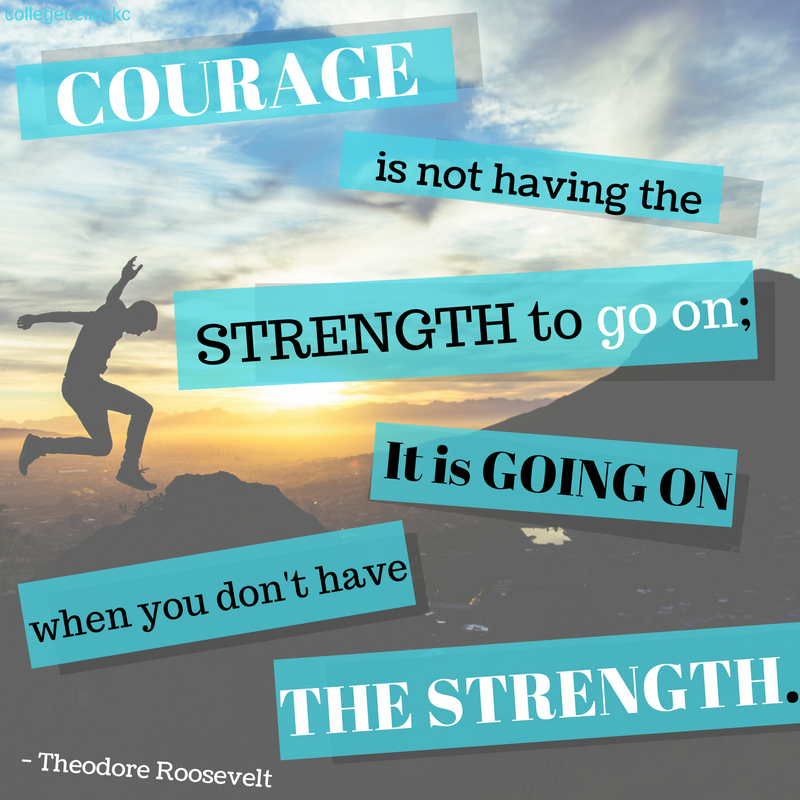 I've watched my daughter fight every day with pain, digestive problems and extreme fatigue. She gets very depressed too. No wonder. I've been fighting since she was 3 to find out what is wrong and I'm still fighting our healthboard to let her see specialists. Finally, we are making some progress. It's likely she also has fibro and the trigeminal neuralgia that I have. Recently she's gone gluten free (as I and my brother have non coeliac gluten allergies) and she's had a marked improvement. It's the first time she's slept through the night regularly since birth! My heart really goes out to you. I cried all the way through reading this as I've watched it all in my daughter so I really understand what you have been dealing with. You sound like you have an amazing Mum as well. Incidentally, I also broke my right hand years ago (twice in fact) and it took my 3 weeks to realise that I might need an xray. At this time I was performing surgical techniques daily and wondered why I couldn't open scissors any more. As you say, the pain isn't enough to alert to more serious injury. I am always cautious with my daughter having learnt that.